It is potentially a real anorak’s story, but the convoluted tale of the numbering of football jerseys across the Australian codes throws up a fascinating series of puzzles. I should not have been surprised. When I played association football in Straiton in Ayrshire in Scotland in my youth there was never any suggestion of wearing different colours to distinguish the opposing teams, far less numbers to identify players, even though there might be 30 to 60 participants in the gloaming of a Scottish summer evening. That, of course, was a participant sport, whereas it was when football became a spectator sport, that the need to identify teams and players became pressing. For many years however the expectation was that numbers were unnecessary. Fans or regular supporters ought to know their own players and who cares about the opposition? Rugby Union seems to have been the pioneering code of football to use player numbers in Australia. When the New Zealand team played Queensland in Brisbane on 17 July 1897, both teams wore numbers on their jerseys. 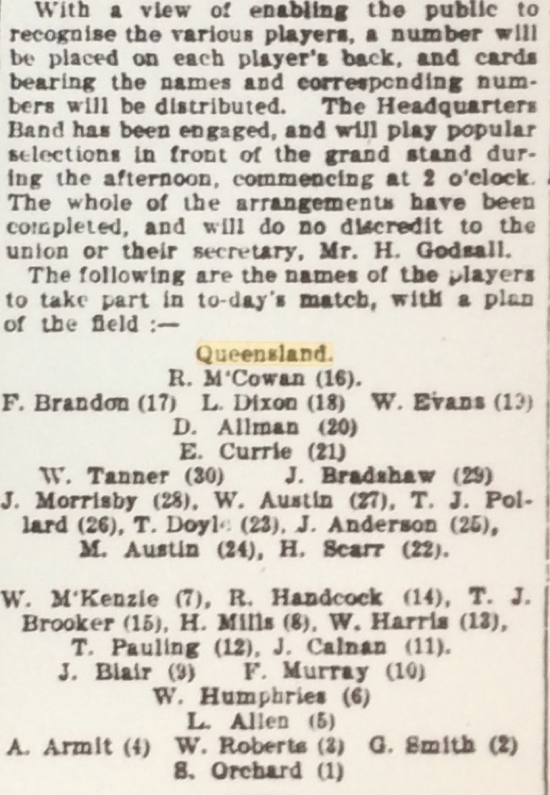 The Brisbane Courier carried a note about the exercise and the team line-ups in position with the players’ numbers. The visitors were numbered 1 to 15, while the locals had 16 to 30. 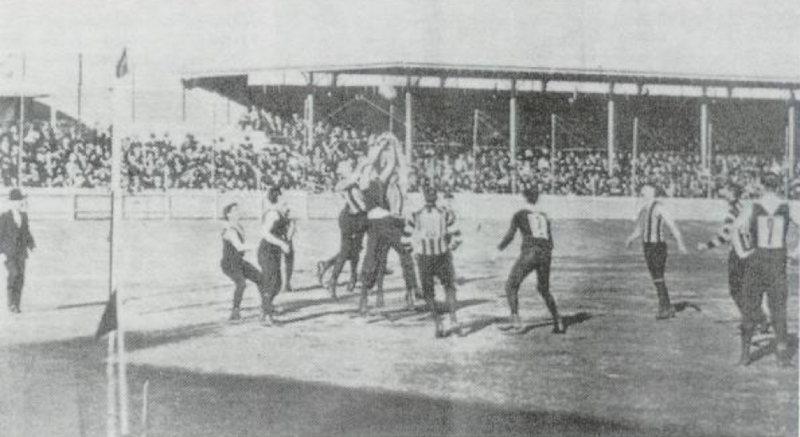 An exhibition game of Australian football was played at the Sydney Cricket Ground on Saturday 23 May 1903 with an estimated 20 000 people in attendance. Fitzroy (7 goals 20 behinds 62) beat Collingwood (6.9 45). Photographs of the game show players on both sides wearing numbers on their backs. Source: The Sydney Mail and New South Wales Advertiser, Wednesday 27 May 1903, p1310. The Sydney Mail was surprised by the numbers and enthusiasm of the crowd given ‘that the game and the teams were unknown to New South Wales football followers’. A New Zealander(? ), signing himself Maori, must have been used to numbering as he bemoaned its absence in Australian football when he attended a Victorian Football League match at the MCG in 1905. He wrote to both the Age and Argus with his suggestion. Sir, — As a lover of our winter game, I must express surprise that the Victorian Football League officials do not take steps to have the players numbered, so that the public might be in a position to know the names of those of the men who in any way distinguish themselves on the field. On Saturday last I had the pleasure of witnessing a very line exhibition of football at the Melbourne cricket ground, but on inquiring from a bystander as to the names of some of the more prominent players, was informed that he could not tell me, as he did not follow up either of the competing teams. As there are 30 men on the ground, who are known by name only to their own supporters, I think that the League (or the clubs themselves) should have the players numbered. and a programme, with the names and numbers distributed, for the convenience of those of the public who do not happen to be “barrackers.” Trusting that the League will take this matter up, now that the way has been shown by one of the Association clubs. — Yours, &c., MAORI. Age, Friday 9 June 1905, p. 8. Sir.-The Victorian Football League should have the players numbered, so that the spectators may be in a position to know the men who distinguish themselves. On Saturday last I had the pleasure of seeing a very fine exhibition of football on the M.C.C. ground. On inquiring from a bystander the names of some prominent players I was informed that he could not tell me.-Yours, &c. MAORI. Argus, Saturday 10 June 1905, p. 14. Maori noted that one of the Association clubs had taken up numbering, though it is not absolutely clear whether this is a reference to the Victorian Football Association or a club playing under British Association (Association football or soccer) rules. 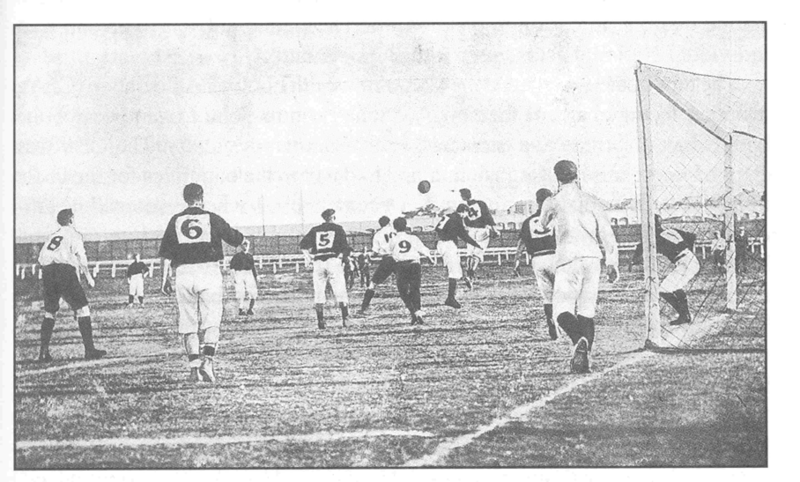 A few weeks later a New Zealand Association football team began its tour of New South Wales with a match against a Metropolitan Sydney team, in which both sides wore numbered shirts. This is the earliest visual evidence of the use of numbers in Association football that I have come across. Philip Mosely or Anthony Hughes directed my attention to this match some years ago and provided a copy of the picture from the Sydney Mail. but though they made desperate efforts to equalise the scores, the home team’s back defence was sufficiently sound, and the conclusion of the game saw Sydney winning by 3 goals to 2. Sydney Mail and New South Wales Advertiser, Wednesday 21 June 1905, p. 1555. Given the New Zealand involvement in numbering in both rugby union and soccer, I tried a search in the New Zealand National Library newspaper site for references to numbering of players between 1900 and 1905 but without success. It seems in this early period that it was exhibition and tour games where numbering was used. That made sense when the identity of players would be unknown to spectators. Ordinary club and league matches with familiar players on the field, would probably not require numbering for regular fans at least, though visitors could be left in the dark, as Maori was in 1905. When Victoria sent an Under-16 schoolboys team to South Australia in 1909, both teams wore numbers. The colours of the local team are red and blue, while the visitors will wear green and gold. Numbers are to be worn by both teams in order that their friends and the public generally may easily distinguish them in the field. The following year the state premiership in Tasmania was played in Launceston again with both teams numbered and the Examiner carried a stylised map of the ground with the players and their numbers in position. In 1911 the Tasmanian News reported that players taking part in a league match on 16 September would wear numbers. The players in the League match tomorrow are to wear numbers. The weather promises to be fine. Tasmanian News, Hobart, Friday 15 September 1911, p. 4. When the Subiaco club in Perth, Western Australia introduced numbering in May 1912 it was praised as a pioneer by the Western Mail, which mentioned that numbering was compulsory in Victoria. But at the annual meeting of the VFL in April the umpire committee was only being requested to consider a proposal to number players. Last Saturday the Subiaco Club introduced a system, which might, with gratification to the football follower, be made compulsory by the League. Each player had a number attached to his guernsey, and as cards with the names, of the playing members of the club were distributed, was easy to distinguish all the players. Every playing member of the club was on the card in alphabetical order and every man playing wore the number opposite him on the club’s official list. The average football follower likes to be able to pick out the men, and it is hard to obtain the information if there is no guide. In Victoria it is compulsory for players to wear numbers, and the same should apply here. Perhaps, the League will take the matter up, and, failing this, the clubs would show a great deal or consideration for the spectator by following the example set by Subiaco. Western Mail, Saturday 1 June 1912, p. 29. Annual meeting of the Victorian Football League. The umpire committee was requested to consider a proposal that all players should wear numbers to assist the public in distinguishing players. Age, Thursday 4 April 1912, p. 8. In rugby union the use of numbers still seemed to be subject to some variability, at least in the United Kingdom, as apparently their use depended on a request, presumably from the home club or country. Invitation by the four home unions to South Africa to send a touring rugby union team to the UK in 1912–13. Players to wear numbers in all matches if called upon. 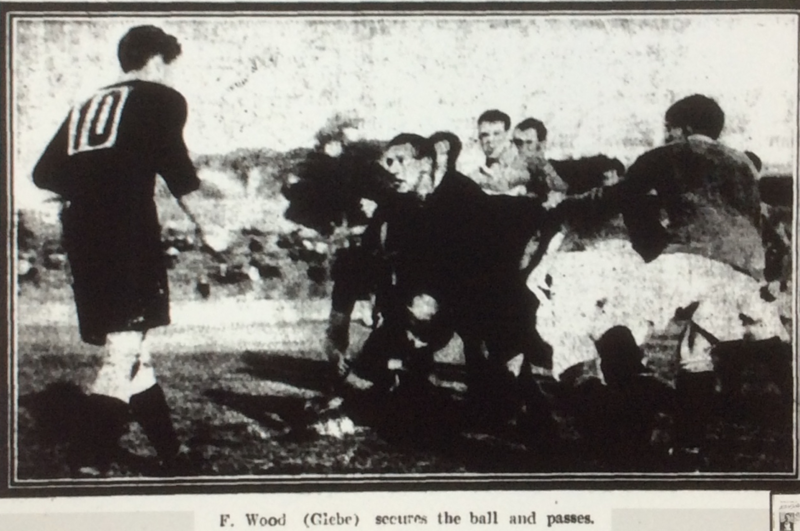 Referee, Sydney, Wednesday 24 April 1912, p. 1. Numbers were being used by some rugby union clubs in Sydney in 1912. Sid Grant asserts that association football clubs in the Sydney first division led by Leichardt and the Naval teams adopted numbering of players in 1912. The goalkeeper was not numbered. 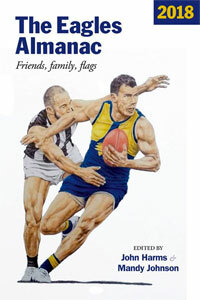 Grant wrote that the clubs were following a trend in Melbourne’s Australian rules football. So far I have found no evidence to back up Grant’s statements. But if rugby union clubs were using numbers in Sydney, the idea may have been reinforced in the soccer community by a source closer to home. In 1913, the South Australian Football League annual meeting adopted a set of regulations relating to numbering, that I presume were designed to ensure conformity because there had been some variability in their use. This was noted with approval by the football correspondent of the Observer who had been arguing for the regular use of numbering. The adjourned annual meeting in connection with the league was held at the Selborne Hotel on Monday evening. Mr. E. E. Cleland, K.C. (Chairman), presided over a full attendance of delegates. Regulations in connection with the numbering of players in the matches were adopted. Minor alterations in the rules were submitted. The Register, Adelaide, Tuesday 15 April 1913, p. 5. During 1912 “Follower” several times emphasized the desirableness of numbering the players in the league matches, and of having printed “keys” for the people, and stated that the innovation, which has been in operation in Victoria for some time, would be greatly appreciated by the public at the matches. The league has decided that this year the players shall wear numbers, which will be attached to the back of the guernseys. The clubs have selected their own colours for the “grounds” and figures, and in each instance they harmonize with the costumes. The numerals will be large enough to allow of them being decipherable from all parts of the ground. This is a move in the right direction, and has been favourably commented upon by patrons of the sport. Observer, Adelaide, Saturday 3 May 1913, p. 17. The players will wear numbers, as was the case in the interstate carnival held in Adelaide, and the innovation, which has been in operation in Victoria for some time past will be appreciated by the spectators. a large section of whom in the past have been unable to distinguish one man from another unless knowing them personally. The Journal, Adelaide, Friday 2 May 1913, p. 1. If some soccer clubs had adopted numbering before the First World War as Sid Grant asserted then the practice may have fallen by the wayside when the game resumed after the war. A correspondent signing himself ‘Soccerite’ wrote to the correspondent at the Arrow, ‘Volunteer’ about the absence of numbers at the main game at the Sydney Cricket Ground in August 1919. Arrow, Sydney, Friday 22 August 1919, p. 2. The use of numbers in rugby league that began in Australia in 1908 needs further research. In a 13-a-side game the number 13 caused some issues in New South Wales apparently. The objection by some NSW footballers to having the number 13 put on their Jerseys isn’t shared by Victorian players. One man who has been In the forefront for three seasons has carried that usually-feared number always. Perhaps he considers It lucky. Evening News, Sydney, Thursday 8 May 1924, p. 9. Bowral football club was allotting player numbers in 1924. Robertson Mail, Tuesday 13 May 1924, p. 3. Cricket was one of the last team sports to adopt a numbering system for players, though it has now done for some limited over competitions. A correspondent of the Examiner thought the cricket authorities should have done so in 1930. Sir-I attended the cricket-match. Australia v Tasmania, and was very disappointed on Saturday last to find that practically none of those present could name the Australian eleven on the field. It. is the usual practice in football to have numbers on players’ backs, but many patrons were unable to distinguish any of the Australian eleven. It was heard, “Who took that catch?” “Who stopped that ball?” “Well, fielded, whom was that?” I might suggest that each player have a number on his back, and feel confident many will be only too pleased to see the procedure adopted. Examiner, Launceston, Monday 10 March 1930, p. 9. Problems with numbering continued to surface long after the practice was supposed to have been settled in Australian football, rugby league and in Association football here and overseas. It has been noticeable this year that there are many players engaged who are without numbers. This is very confusing to the spectators, particularly in the case of new men. The Association have had programs printed containing the numbers of the men in each club and these have been sold to the public. Therefore, in fairness to the purchasers and general public the Association should enforce the rule relating to players’ numbers. A move in this direction would be appreciated by football goers. Pinaroo and Border Times, Friday 9 June 1933, p. 1. According to Sid Grant, the State soccer associations ordered clubs to number all players in 1937. It was around this time that the Football Association in England ordered that numbers should be used in official matches. Canberra Times, Friday 20 May 1938, p. 3. After delegates, at the Newcastle League meeting last night, had emphasised the need for accuracy in the weekly programme, it was decided to instruct the referees to inspect the players’ numbers before each match and make sure they correspond with those published. AGREEING with the recent criticism, the secretary (Mr. P. Baker) said that action to overcome the present position was necessary. ‘There is only one way,’ he said. ‘We will have to revert to the system of having the numbers checked by the referee. Some players are appearing in the wrong numbers and others have had none.’ Mr. J. Mercer, representing the referees, said that their duty was to see that the players’ numbers corresponded with the team slip. Usually they were not much concerned with numbers because they knew most of the players. If a player was sent off whose name the referee did not know it could soon be found out. ‘If the clubs send in certain numbers. and their players appear in others, it Is not the fault of the programme people,’ said Mr. P. Jansen. I am not blaming them,’ replied Mr. Barker. ‘I hold the clubs responsible. ‘The referees should not be held responsible,’ declared Mr. Mercer. 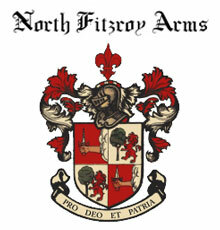 ‘Nearly every club offends,’ said the president (Mr. Silcock). ‘I would like to see this problem settled, and then we can arrange to have team changes notified.’ ‘At Cessnock,’. said Mr. Jansen, replying to the president, ‘a blackboard is erected in front of the grandstand to notify the spectators of changes in the teams.’ ‘My first object is to get the players whose names appear in the programme numbered correctly,’ said Mr. Barker. Mr. S. Malcolm (Waratah) said that his club had proved the value of its system. All Jerseys were numbered from one to thirty. When a player dropped out the man who took his place used his Jersey. Newcastle Sun, Tuesday 6 June 1939, p. 11. When soccer clubs began issuing their own programs they became jealous of the newspapers stealing their thunder with team names and numbers provided ahead of games, so they tried by various means to discourage the practice to improve sales of club programs. One method was simply to list the players, then read out the numbers over the public address at the ground. Whether this strategy worked is a moot point. Today in the A-League in Australia a performance is made of the team announcement immediately before a game. The opposition team is quickly listed on the big screen and sometimes the names are gabbled quickly as well, then the home team is announced, sometimes with the number and given name inviting the supporters to yell out the family/surname name as the player’s image appears on the screen. I found this piece fascinating. Thanks so much. It is amazing that the FA in England only brought in numbers in 1937. I presume that, as has been the case until only recently, the numbers corresponded with the on-field positions (i.e #2 for right full-back, #3 for left full-back etc)? It would be interesting to know whether there was ever a push for this numbering style to be adopted for Australian Rules (e.g #1 for full-back, #2 & #3 for back-pockets etc) as positional play was much more defined until only recently. I would also be curious to learn when numbering was adopted for American football (gridiron). They too still have a numbering system which is loosely aligned to positions (e.g. the kicker and punter usually have a single-digit number). Smokie, you are spot on about numbering and positions in football in England. That is how they started there, but I have no idea whether the Australian game ever tried that apart from that Tasmanian final in 1910. An interesting puzzle to add to the pile. I suppose one of these days I ought to look at the American game, but I have enough on my plate with the other four Australian codes and I suppose the Irish game as well. Richard, thanks for that. I’d not be surprised if the VFA took the lead as you suggest. It would be nice to pin it down, but I don’t know whether the minutes of meetings of both organisations survive somewhere. Do you know? My understanding is that gridiron numbering dates back at least to the 1920s, although associating specific numbers with positions is much more recent, like the 1950s. In baseball, numbering started as a way to identify players by batting order and became widespread around 1929. That’s why Babe Ruth wore No. 3 and Lou Gehrig No. 4 — they batted third and fourth in the order. – 1905: Port Melbourne wore numbers throughout the season. the Adelaide Football Club, arrived in Melbourne. Frederick Boyle and David Scott to act on one of Scott’s ideas. small one penny cards identifying them. their backs. It was a great success. 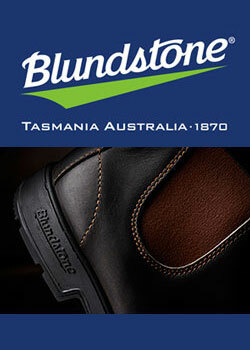 The first numbers used were a game between Adelaide and a Tasmanian rep team in 1887. Superb stuff, Browny. I will have a look at all these references as soon as I can. Given that footy was a major spectator sport by the late 1880s I suspect that underlay the early use of numbers. Sorry it has taken me so long to get back to you, Browny. I should have remembered Trevor Ruddell and David Allen’s article in The Yorker, which I have on my shelf at home. 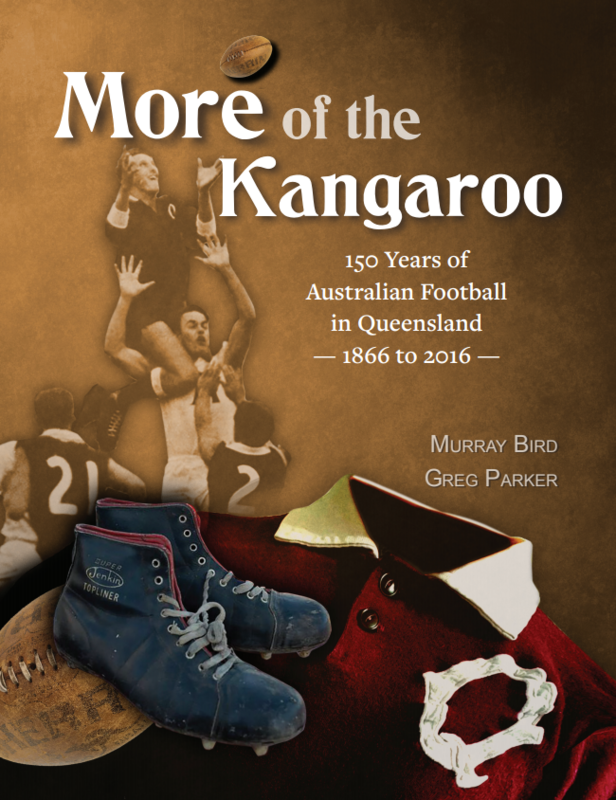 Anyway that is well worth reading by anyone interested in the issue and pushes the intermittent use of numbers back to 1887 and footy as a spectator sport leading the way, at least for inter-colonial games. 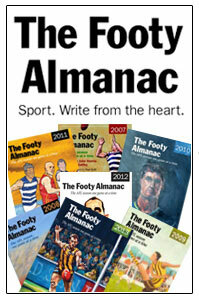 It also clarifies the debate and decisions of 1912 in footy and the subsequent role of The Footy Record. Does The Yorker give the numbers allocated to the players? Has Boyle and Scott’s numbering been found?